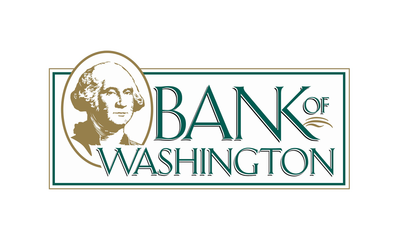 The Washington Town & Country Fair Board reserves the right to interpret the following rules and regulations and determine all matters pertaining thereto; also the right to amend or add such rules as its judgment might determine. Violation of any of these regulations shall cause forfeiture of all privileges, deposits, premiums, contracts, and right to participation by violator. This shall apply to all departments of the Washington Town & Country Fair. Money raffles, games of chance with money payoffs or awards, cash lotteries, or any other gambling activities prohibited by state law shall be prohibited on or about the fairgrounds. In no case shall the Washington Town & Country Fair, or any of its officers or directors, be held responsible for any loss, damage, injury, or death by disease, theft, or from any other cause of any character, to any property while the same is on the Fairgrounds. The Washington Town & Country Fair, its directors and officers, hereby assume no responsibility either as a bailee or otherwise, for any property brought upon said Fairgrounds, and it shall be at owner’s risk. No claims for injury to any person or property shall ever be asserted, nor suit instituted or maintained against the Washington Town & Country Fair, or its officers or their agents, representatives, volunteers, or employees. If any damage, loss, or injury to person or property shall be caused by reason of any neglect or willful acts of any persons, firm, or corporation or their agents, representatives, volunteers, or employees having license or privilege to exhibit on said Fairgrounds, or occupying a space thereon, the Washington Town & Country Fair shall, in no manner, be responsible therefore, and in case it be subject to any expenses or liability all persons causing same or liable therefore, shall indemnify the said Washington Town & Country Fair, Washington, Missouri. Competitive exhibits which have not been claimed by the exhibitor at the close of the Fair will be considered to have been abandoned and will be disposed of as the Fair Board may see fit. Judges have been selected by the Fair Board. Each judge is capable of making expert decisions in the respective area for which they are chosen. All exhibitors and contestants in the Fair shall accept these judges and agree to abide by their decision. Event time schedules are printed on the event catalog page. The decision of the judge(s) will be final in all cases. Premiums and awards will be made only to exhibitors listed in the classifications contained in this premium book. The judge(s) may recommend no premium, third, second, or first place according to the merit of the exhibit. Premium vouchers must be picked up at the times listed in the Schedule of Events. Home Economic-Fine Arts and Horticulture-Floriculture vouchers not picked up at the fair and cashed at the bank on the fairgrounds will be forfeited. Any person obstructing any fire lane, drive or street with a vehicle will be requested by the police to remove the vehicle immediately. Failure to do so will result in expulsion from the grounds and/or arrest. VEHICLES PARKED IN RESTRICTED AREAS OR POSING A HAZARD MAY BE TOWED AT OWNER’S EXPENSE. AMPLE PARKING SPACE IS PROVIDED FOR ALL VEHICLES. SPECIAL AREAS HAVE BEEN DESIGNATED FOR LIVESTOCK EXHIBITORS, EMPLOYEES, OFFICIALS AND VOLUNTEERS. No coolers, cans, will be allowed on the fairgrounds. Coolers and cans will be confiscated at the gate. One UNOPENED water bottle will be allowed through the gate with each person. Proper clothing must be worn on Fairgrounds. Patrons must wear shoes, pants and shirt, or risk expulsion from the grounds. No pets will be allowed on the grounds! No skateboards, bicycles, or scooters allowed on the Fairgrounds. NO WEAPONS OF ANY KIND MAY BE BROUGHT ON TO THE GROUNDS. Gate Security will be checking bags that are brought onto the grounds. No bullhorns, megaphones, or any other types of loud speaker systems will be allowed onto the fairgrounds. 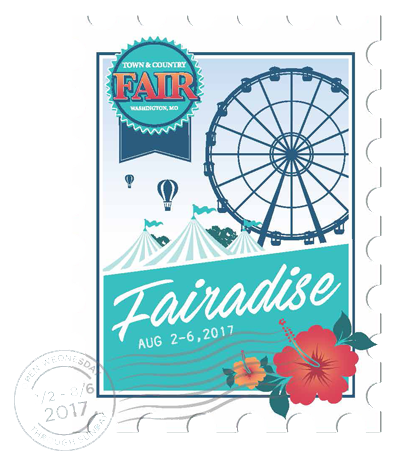 Selling fair tickets on the fairgrounds or in the parking lots is strictly prohibited. Absolutely no information of any kind is allowed to be distributed on the fairgrounds without prior approval. Selfie-sticks are not allowed on the fairgrounds. Any unauthorized drones will be confiscated. Entry forms for all exhibitor divisions and contests may be obtained at the Washington Chamber of Commerce Office, located at 323 W Main Street, Washington, MO. Entry forms may also be printed from the contest page on our website. No registration forms will be accepted before June 4, 2018. The fair will be open daily from 9:00 a.m. until midnight starting Wednesday, August 1, 2018, through Saturday, August 4, 2018, and from 9:00 a.m. until 11:00 p.m. Sunday, August 5, 2018. In the event that hours are altered due to weather or other unforeseen circumstances, no refunds or rainchecks will be issued.